Ships today if you order in the next 15 hours 34 minutes. Echinacea contains several chemicals in its root system and flower that may offer antioxidant support. These include polysaccharides, which are a type of carbohydrate that metabolizes in the digestive system and is sometimes stored for later use in the body; glycoproteins are a sugar that attaches carbohydrates to proteins, and may provide support for cell-to-cell interactions; and flavonoids, which help to structure molecules and may provide antioxidant and joint support. 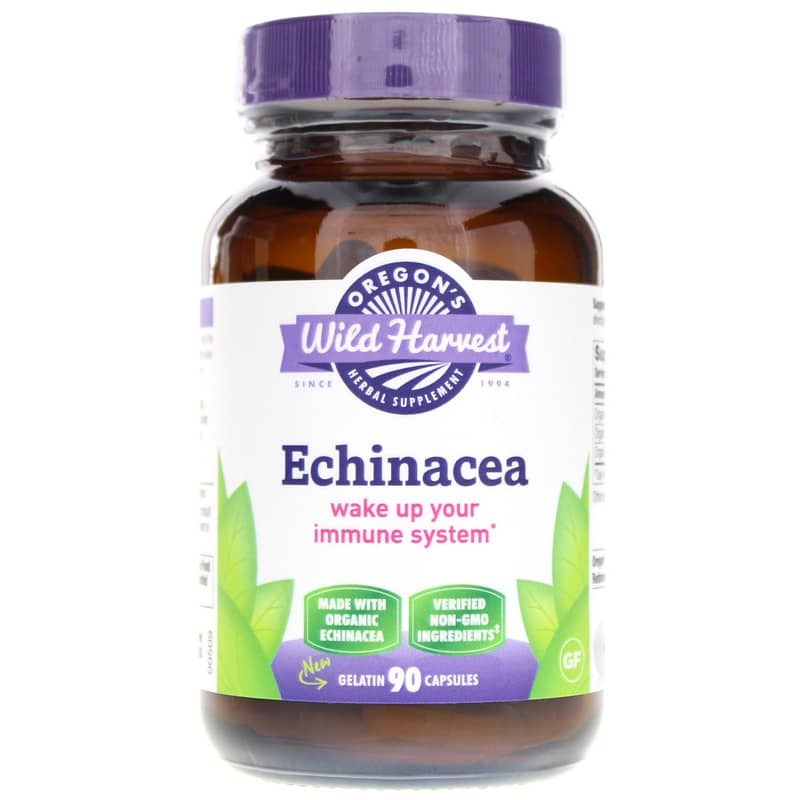 Echinacea is one of the most popular medicinal herbs as a result of its chemical content. 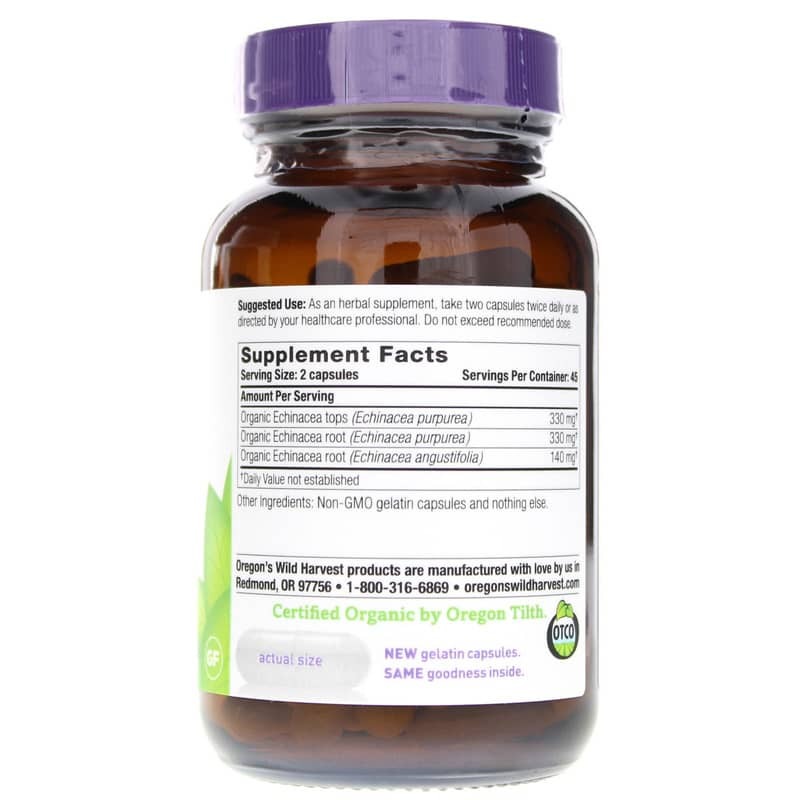 It is thought to support several areas of the body when facing environmental challenges. Experience it for yourself today! Other Ingredients: Non-GMO gelatin capsules and nothing else. Contains NO: dairy, wheat, gluten, peanuts, soy or corn allergens. Non-GMO. 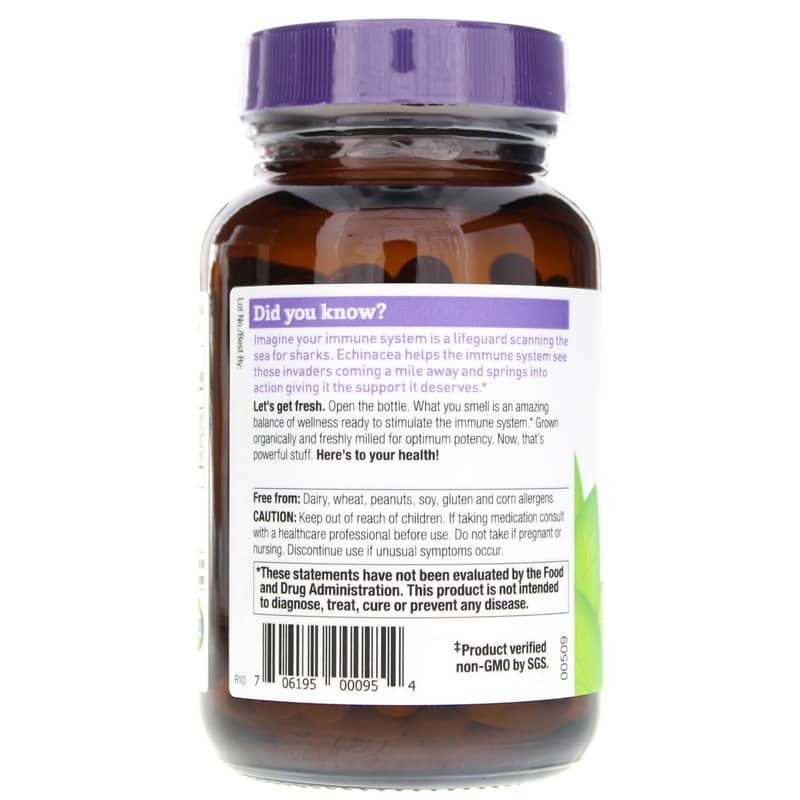 Adults: As an herbal supplement, take two capsules twice daily, with or without food. Nutritional supplements containing Echinacea should be used with caution in individuals with autoimmune diseases. Avoid use during nursing and use for no more than 1 week at a time during pregnancy until further research verifies no contraindications. Keep out of reach of children. Discontinue if unusual symptoms occur. Do not exceed recommended dose unless under the guidance of a health care professional. Individuals sensitive to plants in the Daisy family (sesquiterpene lactone-containing plants) should use all Echinacea supplements with caution.